This package is considered Non-Refundable and Non-Cancellable at the time of booking. A 2 night minimum is required. Cancellation Policy: Reservations are considered paid in full at time of booking and cannot be canceled or modified in any way. There are no exceptions made for medical or family emergencies, inclement weather, missed or cancelled flights, ferry reservations etc. General Policy: All reservations must be guaranteed with a major credit card. Please note that a change in the length or dates of your reservation may result in a rate change. You may cancel your reservation by 3pm ET two days prior to your arrival date to avoid cancellation charges. Any cancellation after this time (or no-show) will result in a charge equal to one night's room and tax for a one-night stay, or two nights' rooms and taxes for a multi-night stay. There are no exceptions made for medical or family emergencies, inclement weather, missed or cancelled flights, ferry reservations etc. 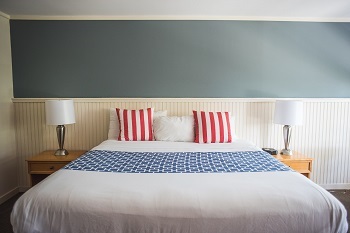 Stays that are shortened are subject to an early departure charge equal to one night's room and tax. 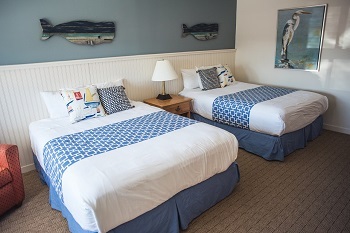 Please note that certain weekends, packages and discounted rates may involve non-cancelable reservations in their entirety once booked, as noted prior to booking. Pet Policy: The Circle Hotel Fairfield is a pet-friendly hotel.Cats and Small Dogs allowed. $30 per pet per day. 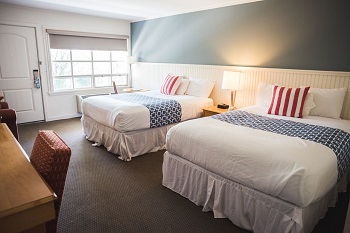 Our Double Queen rooms, fully renovated, offer New England charm and warmth. Amenities include Simmons Mattress Platinum Recharge Euro Top Mattresses, Keurig Coffee Machines, mini refrigerators, HD LED flatscreen TVs, hairdryer/ironing board and complimentary daily breakfast, bottled water, newspaper, and high-speed wireless internet. 325 SQF. 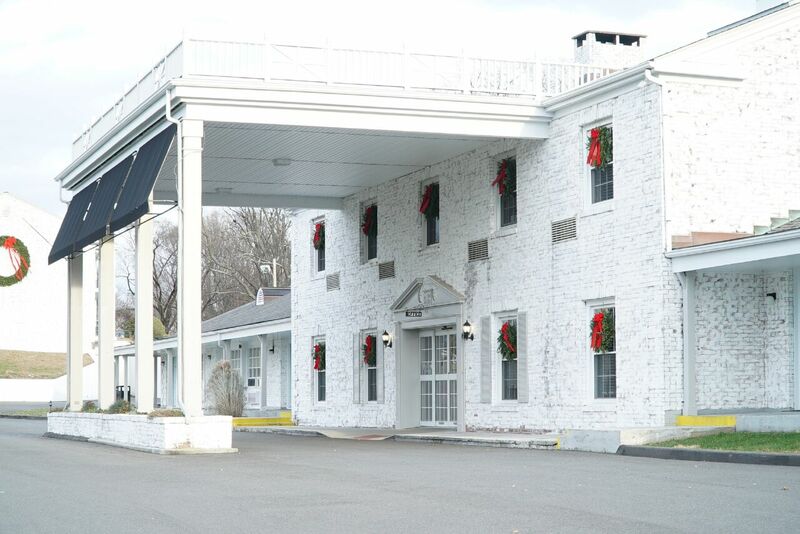 Our King with additional Sofabed rooms, fully renovated, offer New England charm and warmth. Amenities include Simmons Mattress Platinum Recharge Euro Top Mattresses, Keurig Coffee Machines, mini refrigerators, HD LED flatscreen TVs, hairdryer/ironing board and complimentary daily breakfast, bottled water, newspaper, and high-speed wireless internet. 325 SQF. 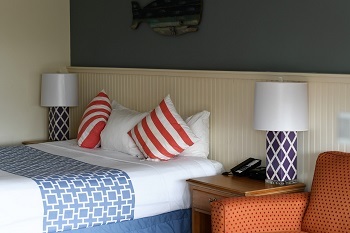 Our Double Queen pool view rooms, fully renovated, offer New England charm and warmth. Amenities include Simmons Mattress Platinum Recharge Euro Top Mattresses, Keurig Coffee Machines, mini refrigerators, HD LED flatscreen TVs, hairdryer/ironing board and complimentary daily breakfast, bottled water, newspaper, and high-speed wireless internet. 325 SQF. Our King with additional Sofabed pool view rooms, fully renovated, offer New England charm and warmth. Amenities include Simmons Mattress Platinum Recharge Euro Top Mattresses, Keurig Coffee Machines, mini refrigerators, HD LED flatscreen TVs, hairdryer/ironing board and complimentary daily breakfast, bottled water, newspaper, and high-speed wireless internet. 325 SQF.